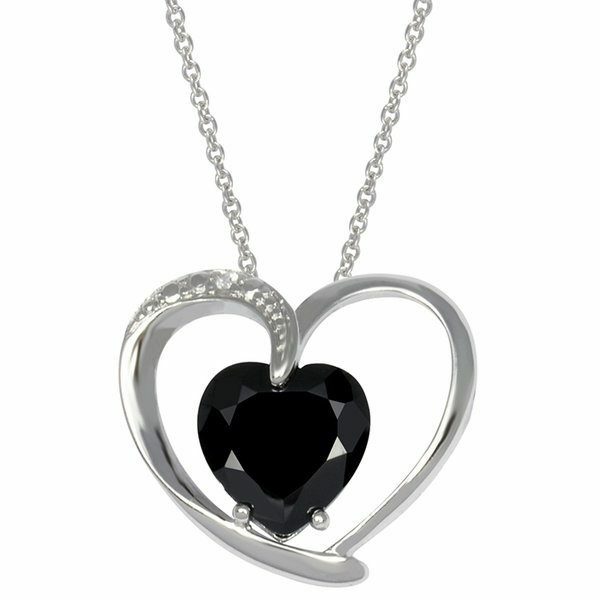 Sterling Silver Pendant with Imitation Black Diamond Heart Stone Just $9.00! Down From $89.99! You are here: Home / Great Deals / Sterling Silver Pendant with Imitation Black Diamond Heart Stone Just $9.00! Down From $89.99! Tanga has this Sterling Silver Pendant with Imitation Black Diamond Heart Stone for just $9.99 (Reg. $89.99)! This unique pendant is set in long lasting sterling silver, and features a heart design that includes a black imitation diamond. This one of a kind pendant hangs from an Italian designed rolo chain.